When we are not in the room, who is talking about us … and what are they saying / thinking? Meaning, making sure what we want and what we stand for is considered when we are not in the room (and likewise making sure we think about others in the same way when they aren’t in the room). The stereotypes women face aren’t going away anytime soon. But we can rise above the labels and bias by making a conscious effort to serve as a champion for ourselves and others. This is the topic of discussion at the Women’s Leadership Roundtable in February (in Denver) and March (online). If you are in Denver area join us, February 23 at Denver Tech Center. Women in upper level executive, administrative and managerial occupations earn 72.3% of their male colleagues. The pay gap across all occupations is 77.5%. Over 40% of mothers are now the sole or primary source of income in U.S. households. Breadwinning moms don’t find their earning power buying them much more help at home – at least, not from their partners. When we think about what a successful business woman looks like, what comes to mind? How much aligns with what we must do to achieve our career (and life) goals … to do more than simply “make it,” but to also live a fulfilling life? A veil of success (when we really need help). A front of coolness (when everything is really a mess). Even being positive (when we are the most tired and overwhelmed). As great as those things are, we may not ascribe to them or want to pretend when we feel alone, when we aren’t making it, and when we don’t know what to do about it. The strong women I know own their voices and speak up when necessary for themselves and others to increase inclusiveness at work and at home. Some of us didn’t have strong women role models. And the divisive way the media talks about and presents women? On display, daily. Being a strong woman, knowing who we are, and standing up for ourselves and others can be unbelievably intimidating. And that’s just the professional side of things. There is a whole other side that isn’t talked about much. Namely, what happens in a relationship when one is a strong woman? It can be hard, and lonely. 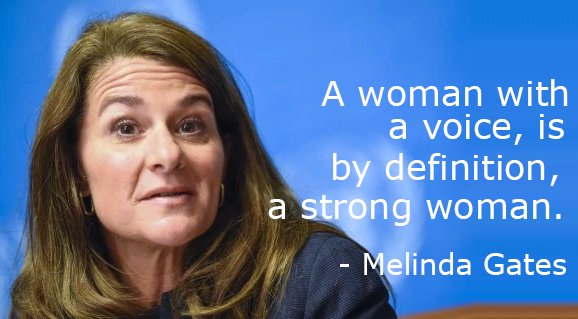 When we have our voice, our strength … we can champion others, too, like Melinda Gates did in a particularly effective and effecting 2003 Gates Foundation talk (click here or on the image below to read the full speech). Both professionally and personally, strong women are optimistic and open-minded. They are willing to question the “status quo,” and know when as well as what help to ask for. Strong women also will learn what they need to in order to take care of themselves and fully show up. 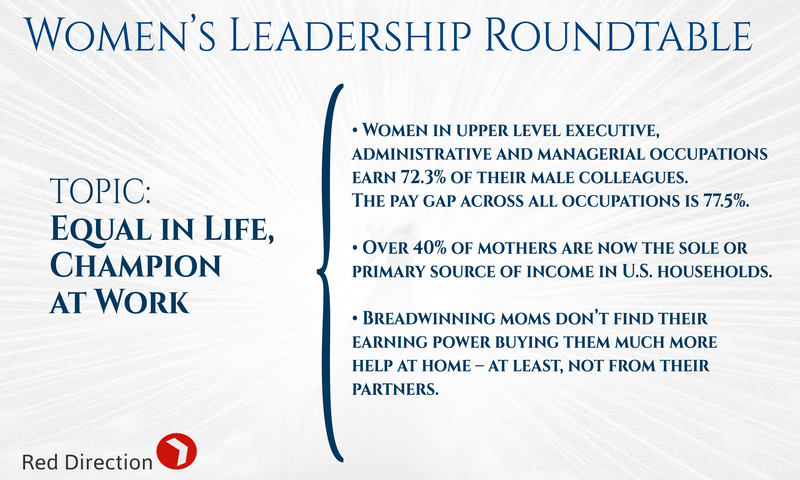 Find Out More about the Women’s Leadership Roundtable.